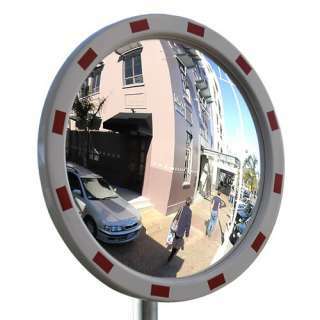 DuraVision™ Outdoor Convex Safety Mirrors will greatly improve road safety by enhancing your range of view around tight corners and bends, as well as hard to see or concealed entry and exit points on driveways, parking lots and intersections. The impact resistant acrylic convex mirrors and unbreakable stainless steel convex mirrors make turning safely onto the road from driveways and intersections easier and can lower the risk of collisions. 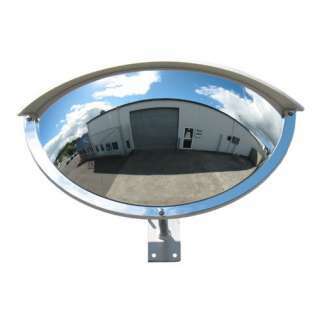 Outdoor convex mirrors are also a low cost way to improve security surveillance around factories, warehouses, security checkpoints and private driveways. Outdoor Heavy Duty Convex Mirrors are weather proof and can be used for general outdoor areas where harsh environmental conditions are not a problem. 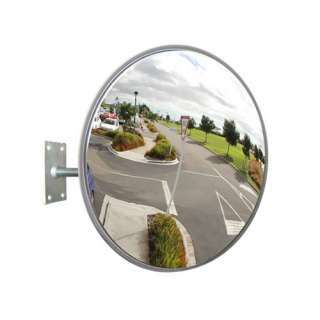 The Outdoor Stainless Steel Road Mirrors are specifically designed for tough outdoor conditions in parking lots, roadways and highways which are exposed to severe weather or vandalism. 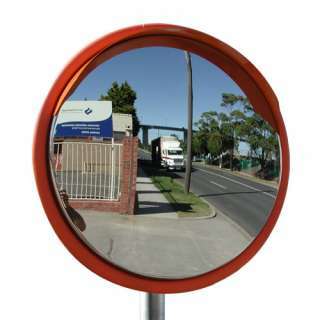 The Outdoor Heavy Duty Acrylic Convex Mirror is weather proof and ideal for driveways, parking lots and most industrial and road safety situations. 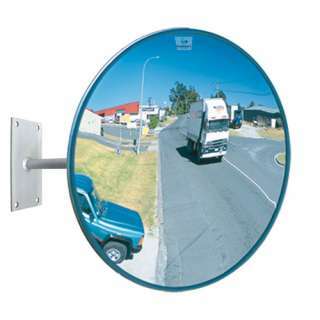 Outdoor Heavy Duty Stainless Steel Mirrors are most suited for situations where vandalism and projectile objects are a risk in industrial or road safety situations. Outdoor half dome mirror is designed for driveway safety such as when a driver needs to see both left and right before exiting a building to avoid collisions. The Pro Series mirror is a high visibility outdoor acrylic convex mirror with distortion free image and 100% UV stabilised advanced plastic composite back. 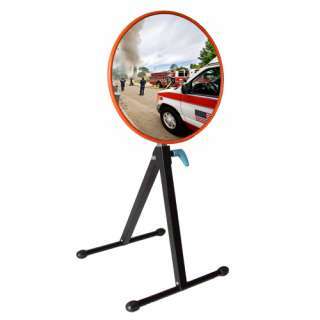 The Outdoor Portable Mirror with Stand is lightweight and easy to position for temporary viewing in hard to see areas. The Pole Mounting U-Bolt Pack is used for securing the J-Bracket to a 3" diameter pole. 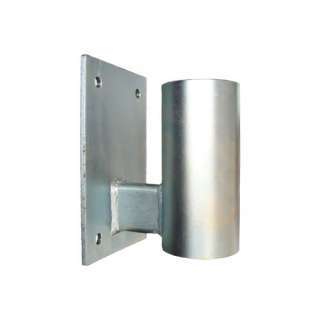 The Wall Mounting Adaptor is used for mounting the 3" Clamp Bracket to a wall or flat surface.